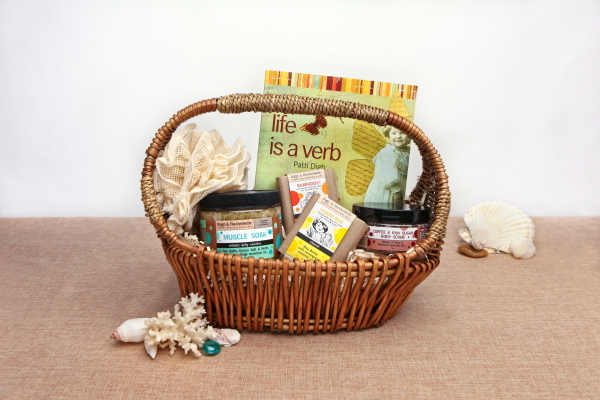 Who wouldn’t want a little bit of sweetness in their day, and with this organic spa gift basket you can have your escape. Filled with 100% natural, gluten free vegan skin care products and some inspirational thoughts, this green and healthy, chic caddy filled with skin friendly goodies may inspire you to sing loudly! Filled with all natural ingredients for the mind, body and soul, this spa gift basket is the healthy help everyone needs to breathe deeply, melt away stress and enjoy the good life.